West Bengal govt. has launched WB Krishak Bandhu Scheme for farmers starting from January 2019. Under this scheme, the state govt. will provide Rs. 5,000 per acre every year to farmers in 2 installments. In 2nd scheme, govt. will provide crop insurance where premium will be paid by the state government. Moreover, the state govt. will grant compensation of Rs. 2 lakh to the kin of farmers who die due to any reason including suicide. WB CM Smt. Mamata Banerjee has announced these 2 schemes namely crop insurance & Krishak Bandhu Scheme on 1 January 2019 to immensely benefit farmers and farm laborers in the state. Krishak Bandhu means friend of farmers and this is an investment support scheme to ensure welfare of farmers. The CM said that the state govt. has already waived off tax on agricultural land. Now each farmer in the state of West Bengal is entitled to get Rs. 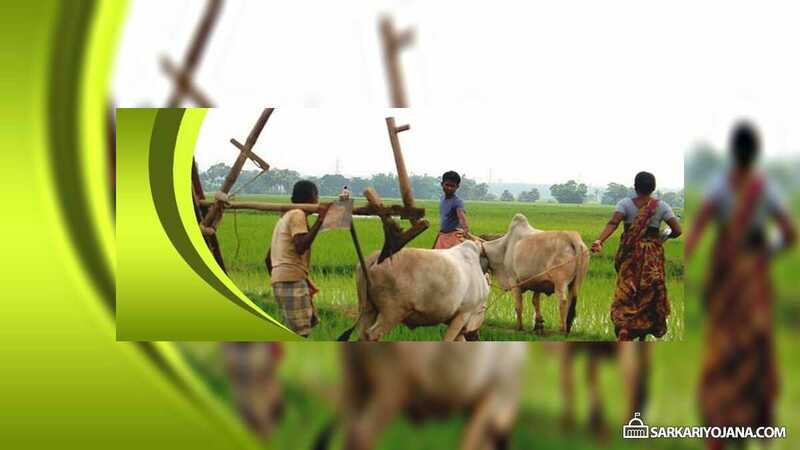 5,000 per year per acre under WB Krishak Bandhu Scheme 2019. This amount would be provided to the farmers in 2 equal installments i.e for Kharif & Rabi crops. As another initiative, WB govt. will also pay the premium under crop insurance scheme. All the farmers in the age group of 18 to 60 years can avail new insurance policy benefits. In this insurance policy, farmers will get grant of Rs. 2 lakh per family in case of death of farmers including suicide. Both these schemes for the welfare of schemes would be implemented by the agriculture department to benefit around 72 lakh farm and farm labourers. WB Krishak Bandhu Scheme 2019 online application / registration form will be available from the next month i.e February onward. Applications would be invited at a separate dedicated portal or at the official government’s website. As soon as the application process will start, we will update it here. Despite financial burden, the state govt. starts these 2 new schemes for the welfare of farmers. Moreover, the state govt. has also waived tax on the agricultural land belonging to farmers. Currently, the state govt. is paying around 80% while central govt. pays only 20% of the insurance payout to provide crop insurance to farmers. CM rejects the claims of PM Narendra Modi of paying the entire crop insurance amount to the farmers.